It's early, it's dark, and it's cold. For the UK, anyway. My dear colonial readers can feel free to refrain from reminding me what real cold is like. I've followed, with some interest a debate on the usefulness (or not) of the PA, or Physician's Assistant, over on some of my more erudite colleagues blogs. Check here, here or here. I'm old nough to have seen the transition, and it does make me a little uncomfortable. Not because I'm not convinced that 'non-doctors' cannot do the job; they can, although I do occasionally have my concerns about the risks of such narrow fields of practice. But mostly because I increasingly see the 'extended role practitioner' doing the stuff on which I cut my teeth. In 'farming' some of this work out, because wwe think it frees doctors up to do other (?more important) jobs, are we not mortgaging some of what makes us doctors? I worry that we are. My husband is a medic with the canadian army and I'm encouraging him to go for his PA as soon as he is able to. 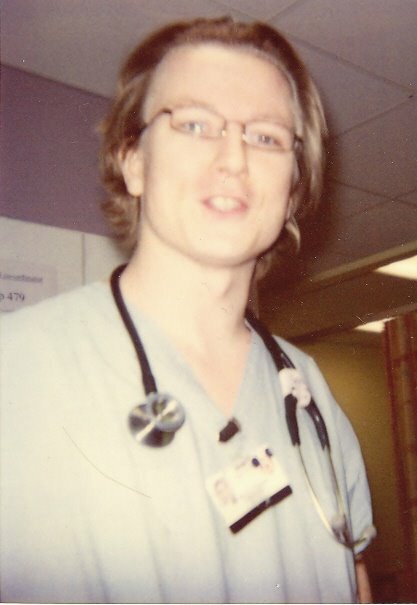 He's too old (36) to start fresh and become a doctor but he's not too old to do the PA and still earn a living in his second career. We're so short of doctors here, anyone who can alleviate the pressure or at least, free up enough time so doctors can provide more care for serious things, would be nice. Something like, 10 million Canadians (out of 30 million in total) do not have a family physician. PAs would really make an impact, in an area like ours with such shortages! I'm going to quote this in my next post, as I think it raises a few interesting points, and I'd like to counter-point. I hope you don't mind. If you do, let me know and I'll edit.